This article reveals minor details about the first episodes of Better Call Saul and major spoilers if you haven't already seen Breaking Bad, though at this point you really should have. Remember that scene in Season 4 of Breaking Bad where Gus mercilessly slits Victor's throat with a box cutter, both because Victor was a liability and because of his sheer frustration that his plan to replace Walt with Gale is totally screwed up by Jesse shooting Gale in the face? You don't? THEN JESUS CHRIST STOP READING THIS. Seriously, if we're going to enjoy our time together here (and we probably will), it's going to first require that you go watch Breaking Bad -- which, if you haven't, you should. Annnnnnnd we're back! Okay, so in case you hadn't heard/didn't read the headline above, there's a Breaking Bad spinoff that's about to be a thing. 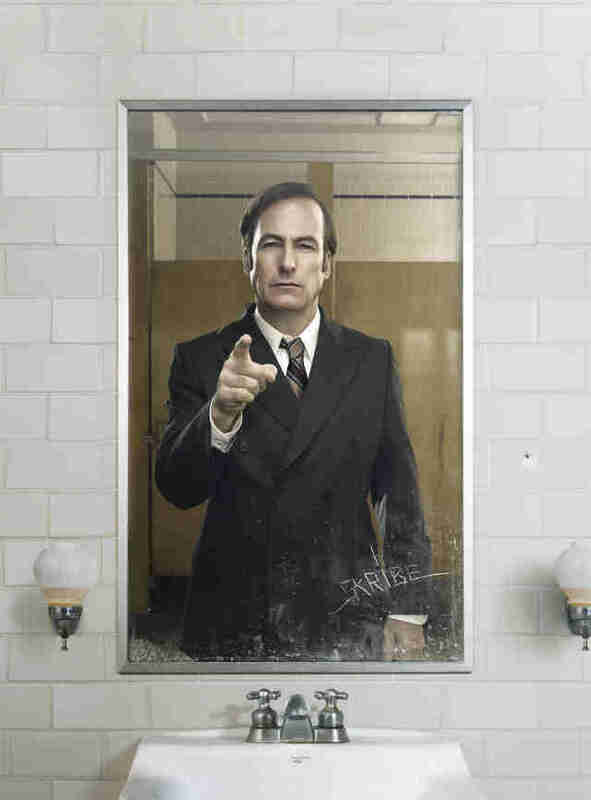 It's called Better Call Saul, and obviously focuses on Walter White's shady-but-not-altogether-lacking-a-conscience-maybe lawyer Saul Goodman. Which means it's a prequel, which means Saul isn't Saul yet (he goes by his real name, Jimmy McGill, and he's a public defender), which means Saul's fix-it man Mike isn't Saul's fix-it man Mike yet (he's a former Philly cop-turned-parking attendant at the courthouse Saul works at), which means this. Show. Is. Awesome. Every character Walt murders in Breaking Bad? Totally alive again. 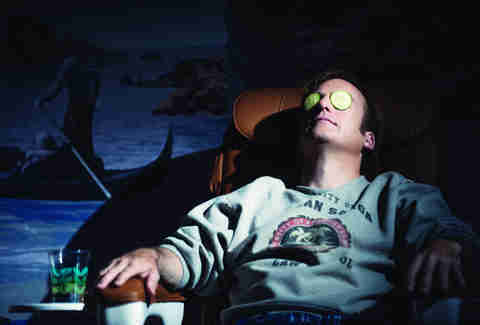 Oh, you were hoping for a flash-forward to see what happened to Saul post-Heisenberg? Well, lucky you. There's one in THE FIRST EPISODE. And a million more just like it, scenes that bring back brain-melting memories from Breaking Bad, where your heart will suddenly start to pound out of your chest in anticipation of someone getting shot or blown up or stabbed to death with a box cutter and then BAM, they use the thing to just cut some rope. 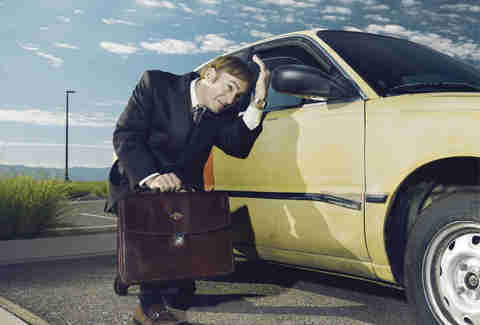 Breaking Bad sets the entire Better Call Saul series on an edge it doesn't yet have, and it's fantastic. Not Landry from Friday Night Lights shooting a little kid on a bike or Walt letting Jane choke to death on her own vomit violent, but still, legs get snapped in half, people get impaled with canes -- it's got the same half-flinch violence that drew you to its predecessor, without the OHMYGODINEEDTOVOMIT sensations. 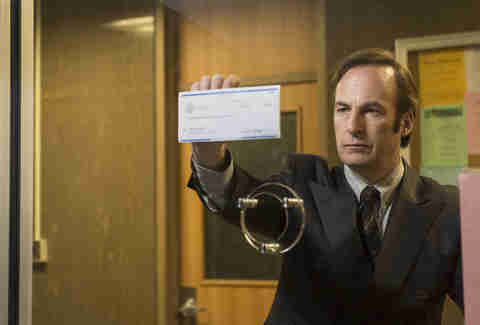 Not yet anyway, which is kind of the early beauty of the series: knowing that eventually Jimmy will turn into Saul. That at some point the public defense lawyer, who's broke and trying to make a buck without crossing any lines that are too thickly drawn in the proverbial conscience sand, will turn into the American Samoa-educated, money-laundering, low-budget-TV-commercial-making judicial arm of the criminal underworld. 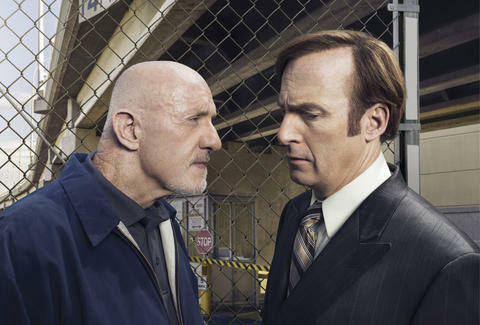 Granted, it's not a huge leap -- he poses as a British secretary and an FBI agent, and isn't above scamming his way to landing a case -- but there's still a pretty sizable divide between this Saul and our Saul. Describing a fancy boat parked in someone's driveway: "It's like a stripper pole in a mosque." Grant Marek is a Senior Editor at Thrillist and will be doing episode recaps for Better Call Saul all... season... long. Or Saved by the Bell: The College Years ones. Whichever you guys prefer. Follow him on Twitter: @grant_marek.